All component parts for the pvc strip hanging systems are available in high grade stainless steel, mostly required in harsh environments that persists in chemical factories and waste treatment plants. Standard/Clear curtains: For temperature control and Noise. Polar/refrigeration curtains: For walk in freezers and cold rooms. Welding screens: protect from welding sparks and UV rays. Anti-insect curtains: protect from insects. Certain percent of overlapping between pvc strip is recommended depending on the usage. Overlapping strips acts as a lock that keeps the controlled environment protected from insects and temperature loss. Plate Sets for PVC strip hanging. 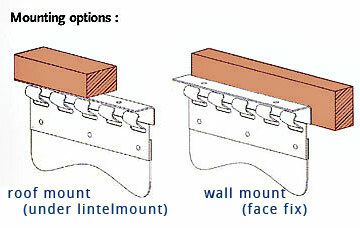 Strip sizes: Strip size is chosen according to the size, the correct width and thickness of the opening. 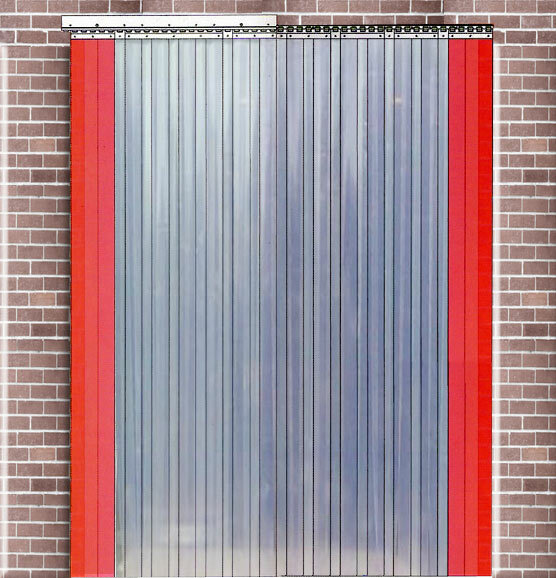 Also the moving traffic both pedestrian and vehicle must be considered in choosing the right pvc strip curtain. 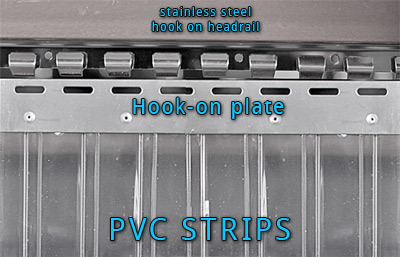 PVC strip overlapping and hook-on systems Stainless steel hooks for strip hanging. Illustrated below are the types of pvc strip curtain mounting option.